It is a political call on his part to advance his consistent stance that the US should not intervene in the Syrian conflict. Why is Trump asserting his political will? Basically, it is a political call on his part to advance his consistent stance that the US should not intervene in the Syrian conflict – a stance, we may recall, which Michael Flynn had begun fleshing out even before the Trump presidency began in January last year. Why is Trump asserting his political will? Trump made a phone call to Turkish President Recep Erdogan last Friday to urge restraint and signaling a change of course in the US’ Syrian policy. Erdogan later nodded satisfaction over the phone conversation. The point is, the Turkish threat to attack Kurdish groups inside Syria makes the ground situation completely untenable for the US military. The options for the Pentagon will be either to intervene on behalf of its Kurdish proxies and confront the Turkish military (which is senseless), or to watch passively the complete demolition of the zone encompassing one-third of Syria that the US carved out for itself through the past year or more. 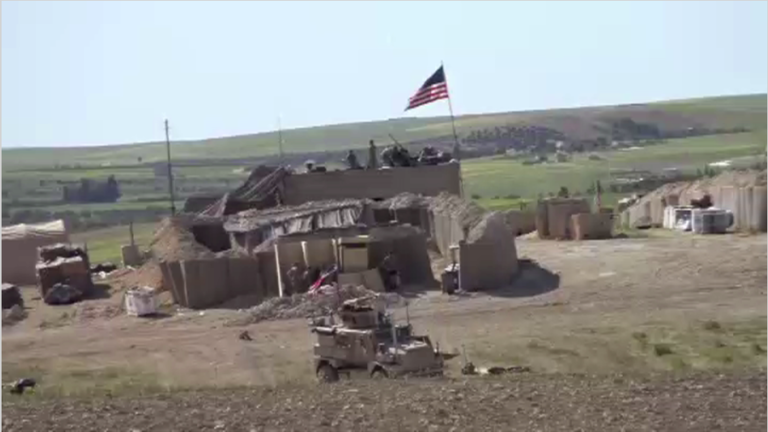 More to the point, there is every likelihood of the US forces, numbering 2000 soldiers and spread thinly on the ground, getting caught in the crossfire between the Turkish military and its affiliated Syrian opposition groups on one side and Kurdish fighters on the other. 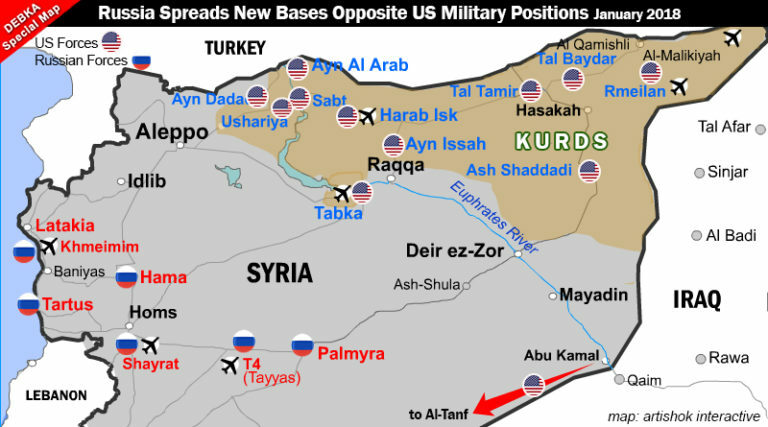 If the Turks vanquish and scatter the Kurdish groups, US will be left with no local allies. And it will be a matter of time before the isolated US “bases” in Syria numbering over a dozen will face harassment and predatory attacks by the battle-hardened Shi’ite militia trained and equipped by Iran. It can turn out to be a situation like the attack on the Marine barracks in Beirut in 1983. The spectre that haunts Trump is of body bags of American soldiers killed in Syria coming home, which of course, will be spelling doom for his re-election bid in the 2020 election. Trump understands that there is a Russian-Turkish-Iranian convergence to evict the US forces from Syria and the only way to counter it can be by committing boots on the ground in much larger numbers, which is course unrealistic. Trump has been paying a lot of attention lately to mend the fractured Turkish-American ties and to revive the alliance, if possible. Step by step, he has been clearing the debris that had accumulated during the Obama presidency. The extradition of Islamist preacher Fetullah Gulen is a major obstacle, but even here Trump appears to have set the ball rolling. On December 18, Pentagon announced the clearance for a possible sale of the Patriot air and missile defence system to Turkey, notwithstanding Turkey’s purchase of S-400 ABM system from Russia. Trump is also addressing the detention in the US of a top executive of Halk Bank, which has serious political overtones for Erdogan personally. Unsurprisingly, Turkish Foreign Minister Mevlut Cavusoglu acknowledged publicly on December 18 that the climate of bilateral relations is “much, much better” of late. Cavusoglu disclosed that a visit by Trump to Turkey is on the cards. Having said that, the US’ continued alliance with the Kurdish militia is a red line for Turkey and the relations between Ankara and Washington can never be normal so long as this “unholy alliance” (as Turks perceive it) continues. Ankara will suspect the US intentions toward Turkey so long as Pentagon treats the Kurds as strategic allies, no matter the tactical reasons proffered by the Pentagon commanders. Trump understands this. And it largely explains his decision to cut the Gordian knot. Significantly, Cavusoglu discussed the US withdrawal plans in Syria with US Secretary of State Mike Pompeo within hours of the news of Trump’s decision. The heart of the matter is that the US’ regional strategies can never be optimal without Turkey, which has been a “swing” state. Turkey has a vital role to play not only in the Middle East and Eastern Mediterranean but also in the Black Sea and the Balkans. Above all, Turkey is a NATO power and the alliance loses traction in the southern tier if Ankara does not take active interest, which has been the case in the most recent period. Therefore, on balance, US’ regional strategies have much, much more to gain out of Trump’s decision to disengage from direct military intervention in Syria and to resuscitate the relations with Turkey and re-energize the old partnership. Of course, interest groups and war profiteers (“military-industrial complex”) in the US will castigate Trump for his decision to order the halt of the gravy train. But their main argument that residual terrorism still remains in Syria is a phoney one bordering on rank hypocrisy. For, it is a matter of time before Russia and Iran and the Syrian government forces with their affiliated militia will make mincemeat out of the terrorist groups that have taken shelter in the US- controlled zone in eastern Syria as well as destroy the US-backed extremist groups ensconced in Idlib. Plainly put, the fight against terrorism will be taken to its logical conclusion as soon as the US forces get out of the way and Pentagon is prevented from playing the spoiler’s role. Therefore, paradoxically, the decision to pull out from Syria and the rebooting of the Turkish-American alliance can only improve the US’ capacity to influence the Syrian peace process, and regional politics in general. Interestingly, Trump’s announcement came just as agreement was reached in Geneva on the composition of the committee to write a new constitution for Syria, which is a defining moment in the UN-brokered peace process.